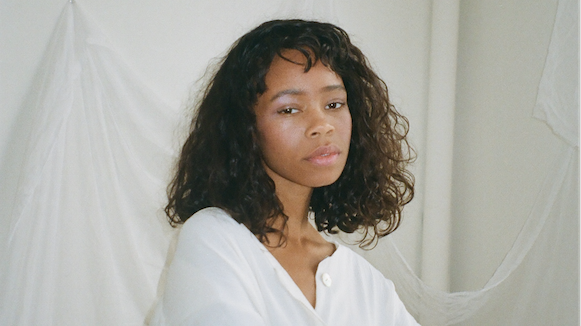 Meet Dianna Lopez, Ambient Rock Star In The Making The 23-year-old New York artist has caught the attention of Tyler, The Creator, Solange and more. Get familiar now. "Take a seat with me / Disappear and see / You know you can be / Fine here without me / But you're beggin' me / Just stop beggin' please / Baby, I'll stay for a little while," Lopez sings over the soft acoustic of the Devoye-produced track. "Predictable" is the artist's first release of 2019 and her official follow up to an impressive 2018 EP, Foreign Space. ("Heavy," "Y U Mad?" and "Retrograde" were project standouts.) Like she did for Foreign Space, the 23-year-old says she recorded "Predictable" in her bedroom with a simple setup: a snowball mic and Apple's GarageBand application. So far, the promotion for the track — quick Instagram videos of Lopez performing on a silver-streamer backdrop — matches its cheeky, inviting simplicity. Over the past two years, Lopez has released projects and gradually grown her online fan base. With her musical taste ranging from Little Dragon, FKA Twigs and Willow Smith to Nirvana, Jefferson Airplane and The Black Keys, Lopez draws from all genres, but says she lives in the alternative space. Understandably, Lopez wants to keep her sound rugged, cerebral and in the spirit of ambiguous lo-fi-dom as she moves forward. "D.I.Y. is my middle name," Lopez tells NPR Music with a laugh. "For my music I always want to keep it raw ... I don't want it to become robotic or, like, forced." Lopez began dabbling in music during her college years at SUNY Purchase in Harrison, N.Y. and quickly fell in love with the process. With "Predictable" serving as the kick-off to a forthcoming project this spring, expect her momentum to pick up. "Honestly, I want to be a rock star," she says. "F*** all that."